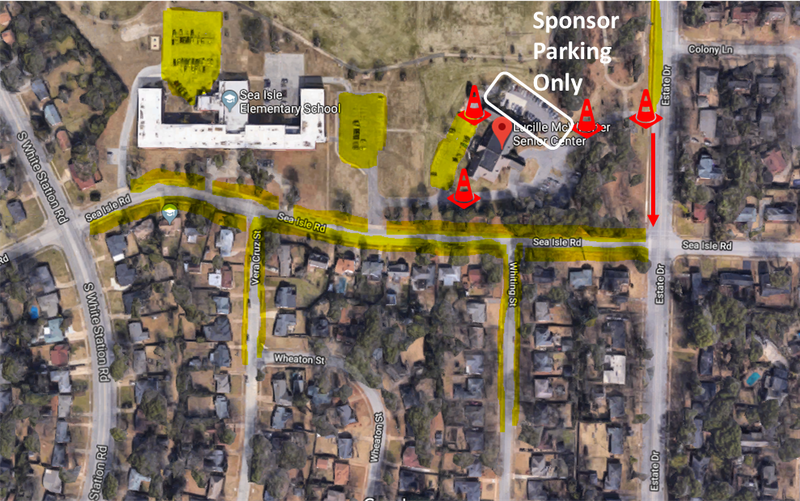 To allow room for race participants, please do not park in front of the senior center (area between cones below). 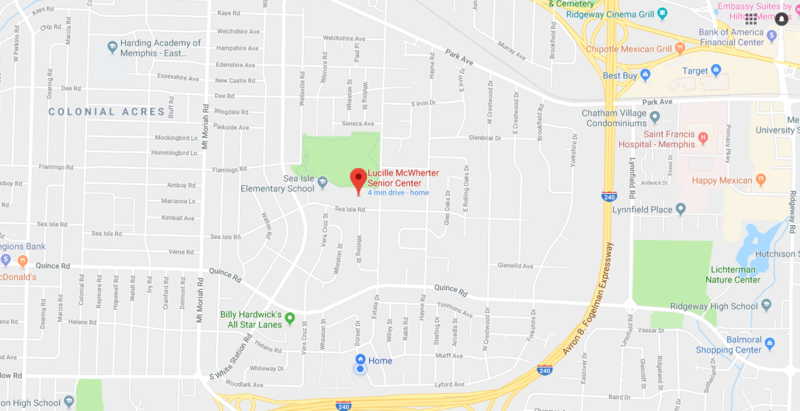 Parking is otherwise available in the north and north-west sections of the McWherter parking lot, and the lot to the east of Sea Isle Elementary School. On-street parking is also available on Sea Isle Rd up to the elementary school, and on Whiting St and Vera Cruz St to the south.